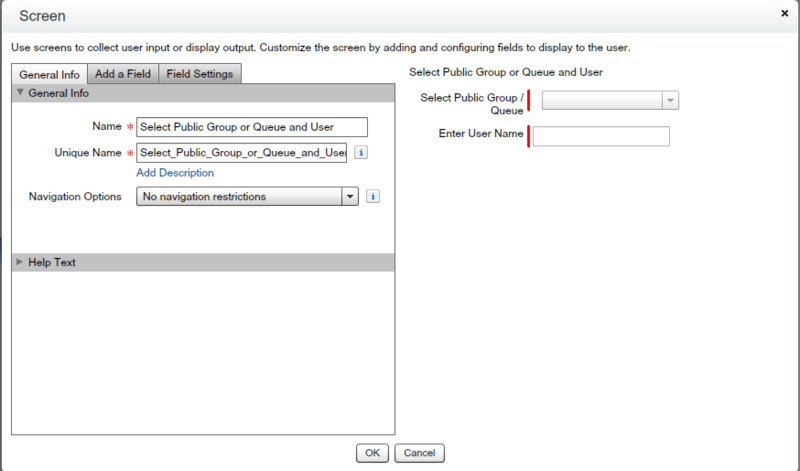 In Salesforce Queue and Public Group represent a group of users. We can add any number of users to Queue or Public Group. There is no limitation on the number of members per Public Group. 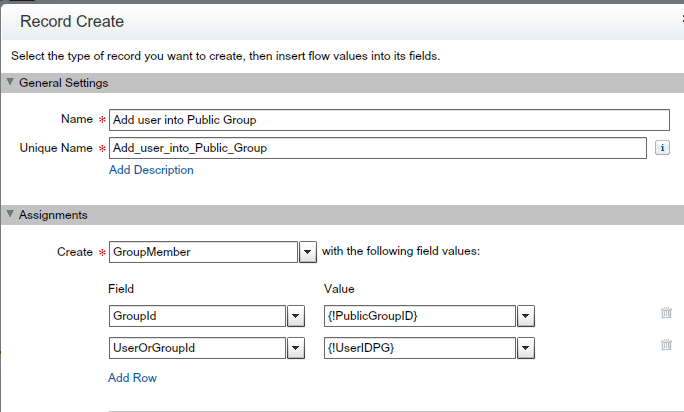 This is a daily job of Salesforce admin to Add/Remove users from a queue or public group. 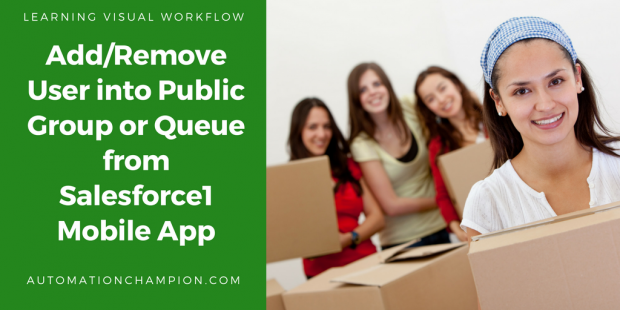 As you aware that Form Salesforce1 or SalesforceA app we can’t Add/Remove user from the Queue or Public Group. Now let’s start with a business requirement. 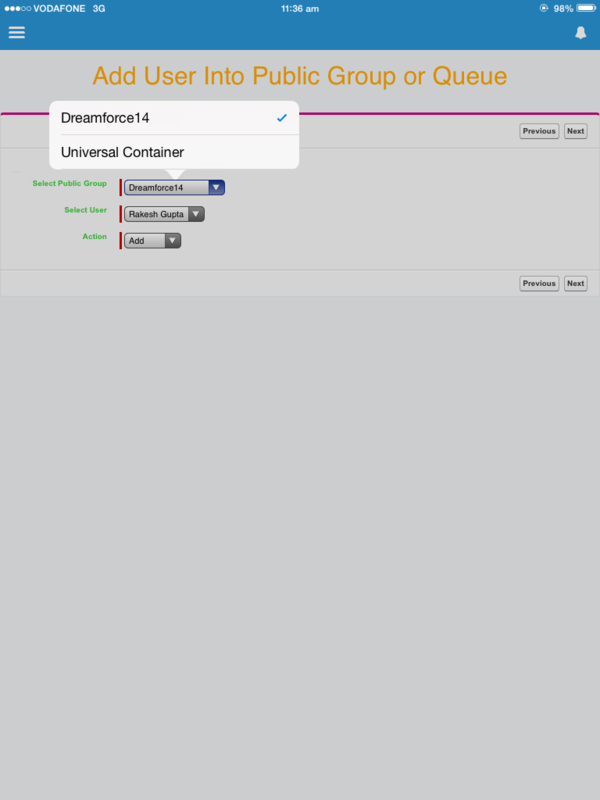 Higher management at Universal Containers wants to develop an application for Salesforce1, from where they can easily Add/Remove user from the Queue or Public Group. Again this is a power of Visual Workflow, we will create an app without using a single line of code. 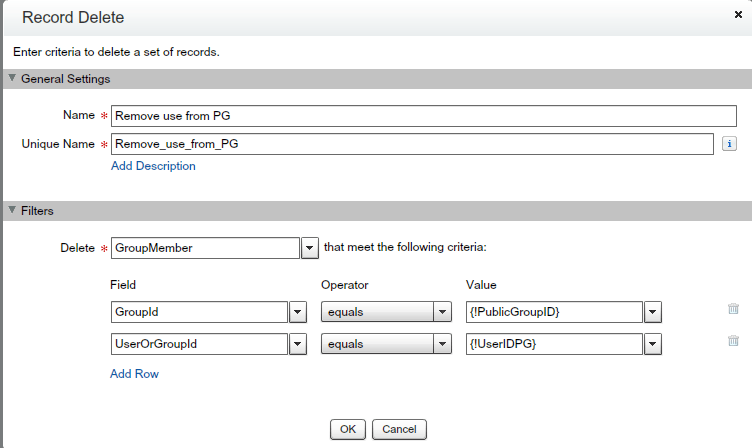 Before proceeding you have to understand Group and GroupMember objects in Salesforce. Group: – This Group object represents Queue and Public Group both. Groups are sets of users. They can contain individual users, other groups, the users in a particular role. 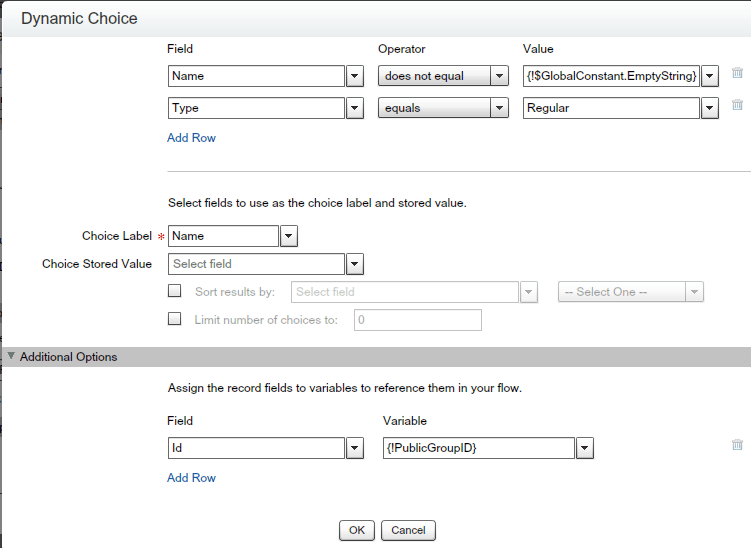 By using Type field you can distinguish between Queue and Public Group. For Public Group (Use Type = Regular) and for Queue (Use Type = Queue). 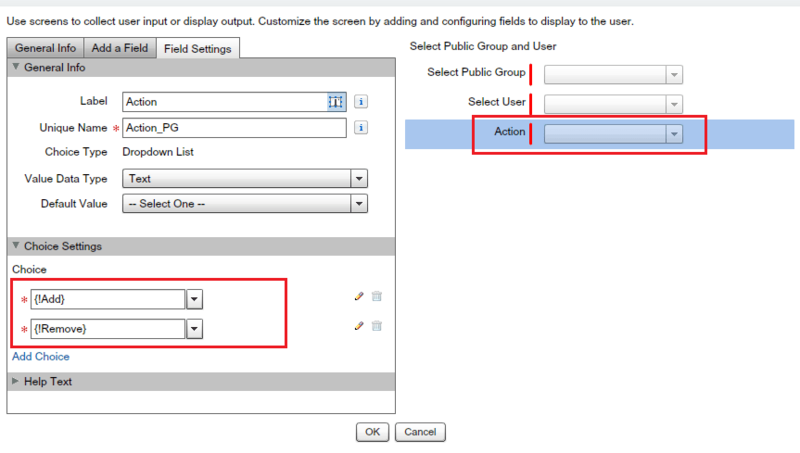 Note: – In this article I will discuss only about add/remove user into Public Group. In similar fashion you can develop for queue. I will also provide Unmanaged package of my app so you can play it within your dev org. 7. The final step is performing Add or Removal action, to do this it’s required only two ID one is GroupID or Queue ID another is UserID. I by mistake created the public group “XYZ-Test as my company Name” and then I muted it. How I can remove/delete this group. Muted a public group in Salesforce? Great post Rakesh. So just confirming, it will work unless the user has Manage Users permissions assigned ? 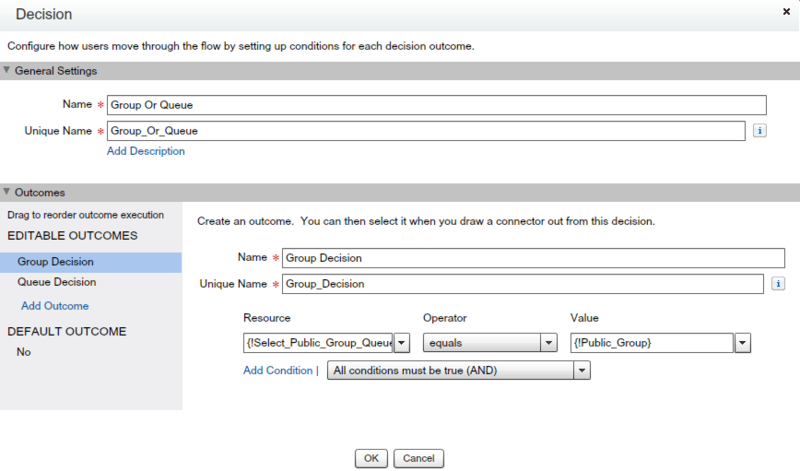 Hello – Can you please tell me if this would work for users regardless of system permissions? 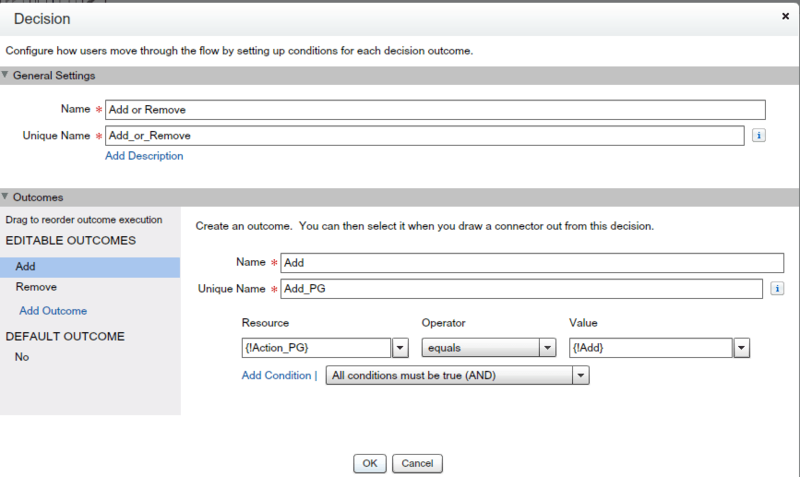 I would like to give access to this Visualforce page via a Permission Set to a user with only basic access (such as Standard User). I tested, but receive “An unhandled fault has occurred in this flow” error. Is there a way to bypass system security in order to make this work for my user? No it won’t work unless and until don’t have proper permission to Add or Remove users. Thank you for posting these instructions. 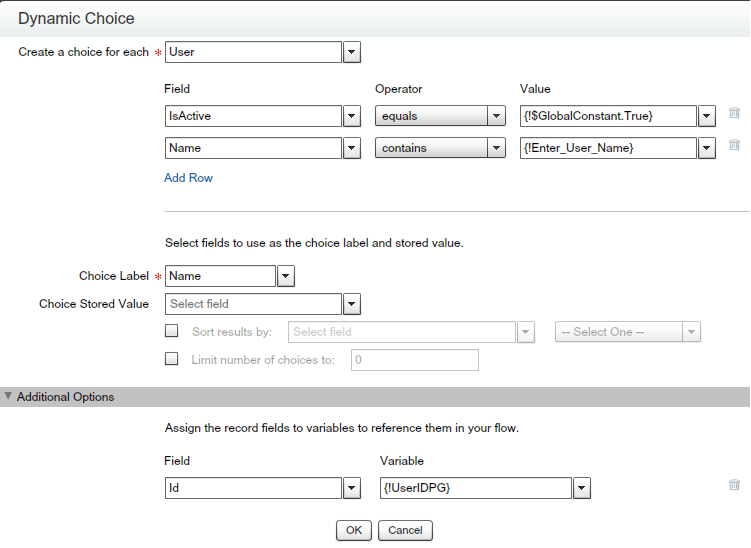 I have reproduced your flows, visualforce page and tab but I am having an issue with the username field not storing the info or not finding the user. Do you know what could be causing this? Thanks Jason. I will suggest you to check your dynamic choice. Great and Have a good weekend.